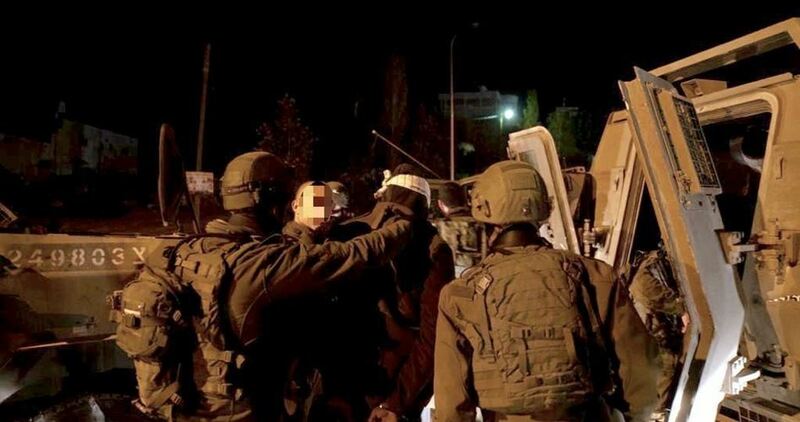 Several Palestinians were arrested and dozens more injured by the Israeli occupation forces in predawn Wednesday sweeps launched across the occupied Palestinian territories. The Israeli army claimed responsibility for the abduction of 17 Palestinians over allegations of involvement in anti-occupation activities. The campaign targeted Palestinian civilians and ex-prisoners from Nablus, Ramallah, Bethlehem, and al-Khalil. The Israeli military also ravaged civilian homes all the way through the assault. Palestinian ex-prisoner Udai Muzhir was, meanwhile, kidnapped by Israeli soldiers from his family home in Qalandiya refugee camp, north of occupied Jerusalem. At the same time, scores of Palestinians were injured early Wednesday from Israeli gunfire as hundreds of extremist Israeli settlers forced their way into Joseph’s Tomb in the northern West Bank city of Nablus. Israeli forces escorted a convoy of buses packed with hundreds of fanatic settlers into the site, sparking confrontations with Palestinian residents. Soldiers opened fire on Palestinians protesting the raid and attempting to block settlers’ access to the site. One of the casualties, identified as Mutasem Saqf Al-Heit, a journalist, was hit with a rubber-coated steel bullet in the abdomen. He was rushed to Rafidia Hospital for treatment. Soldiers also showered protesters with tear gas canisters, causing several protesters to suffocate. All suffocation cases received first aid treatment at the scene. Three Palestinian youths were arrested in the clashes. Settlers repeatedly break into Joseph’s Tomb, located in a densely Palestinian populated area in Nablus, provoking chaos and confrontation with the locals. An Israeli extremist settler attacked a journalist and an activist in the southern occupied West Bank city of Hebron, on Sunday. The motion was passed by a large majority and represents a recognition that the Eurovision contest in Israel presents serious ethical issues for anyone who cares about human rights. Palestine News Network welcomes this support for workers choosing not to participate in coverage of the contest, either in Israel or in Ireland, as they do also with the Director General of RTÉ, Ireland’s National Broadcaster, Dee Forbes’ commitment, last year, not to sanction any workers whose consciences prevented them from travelling to Israel. NUJ Dublin Broadcasting Branch Chair broadcaster Emma O’Kelly said, “The fact that the Eurovision is taking place this year in a country guilty of ongoing serious human rights abuses, including against journalists, means there will be members of ours who feel that for ethical reasons they can’t participate in coverage of the contest. We debated our attitude towards this [last] week and the branch decided by a very strong majority to express our willingness to support any member in that position. The Irish Campaign to Boycott the Eurovision in 2019 reiterated the call for RTÉ and any performers not to participate in the song contest in Israel. “Further, we ask RTÉ to support the call from the Palestine Liberation Organisation (PLO) and the Palestinian Journalists’ Syndicate not to broadcast the Eurovision Song Contest in Israel’s illegal settlements, including those in occupied East Jerusalem; the least RTÉ should do to be in line with international law and European policy,” IPSC said in a statement. 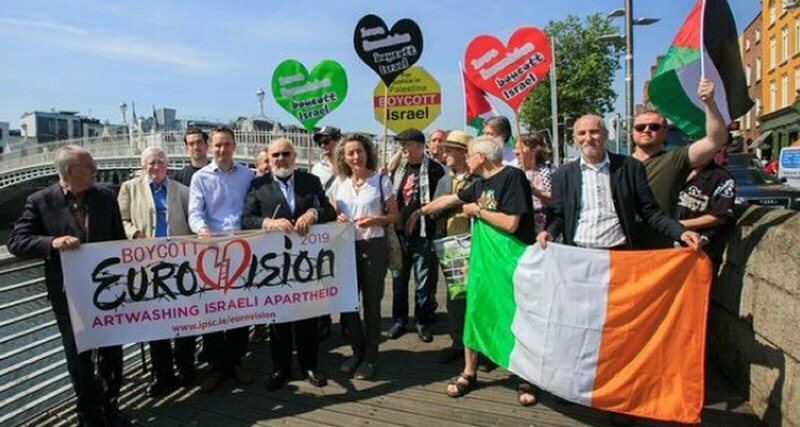 The campaign to boycott the Eurovision in apartheid Israel enjoys widespread support in Ireland with almost 15,000 people signing a petition calling for non participation and also has endorsement from human rights activists, artists and other public figures, among them former Eurovision winner Charlie McGettigan; Irish broadcaster and former Eurovision commentator Mike Murphy; and former Eurovision presenters Carrie Crowley and Doireann Ni Bhriain. The Musicians’ Union of Ireland (MUI) and Irish Equity, have also endorsed the campaign. Internationally hundreds of artists have joined the call to boycott the Eurovision in Israel, almost 40,000 people have signed a petition calling on members of the European Broadcasting Union to withdraw from the contest, and on January 29th more than 60 queer and trans liberation organizations from nearly 20 countries across Europe and beyond made a call on global LGBTQIA communities to boycott the competition. While Israel continues to deny the Palestinian people their rights, people of conscience must continue to refuse to engage with that state and to support the call from Palestinians for solidarity by boycotting Eurovision 2019. To do so is to be on the right side of history. These violations have affected nine journalists, (as well as a number of other journalists who have been exposed to the same violations in late last month in Gaza). They are: from the West Bank, Yousef al-Faqih, Mahmoud Harish, who was detained for 22 days and released two days ago, Zaid Abu ‘Ara, the media student at Birzeit University Hamzah Mahmoud Khader, Hazem Nasser, Metasim Sakf Al-Hait, Amir Estate and Faisal Rifai, whose freedoms were held for hours. And, from Gaza, Louay al-Ghoul, who was summoned and detained three consecutive times for long hours by the Internal Security, during which he was tortured and beaten. On January 28, 2019, Yusuf al-Faqih was transferred from Dura’s prosecution to Ramallah prosecution without an investigation. A request was submitted to the Ramallah Magistrate’s Court, to extend his detention for 15 days, despite a submission of pleading by MADA’s lawyer. The court decided to detain him for 15 days, and he was still being held at the headquarters and prison of the Preventive Security Service, in the town of Bitunya, at the time of this report.